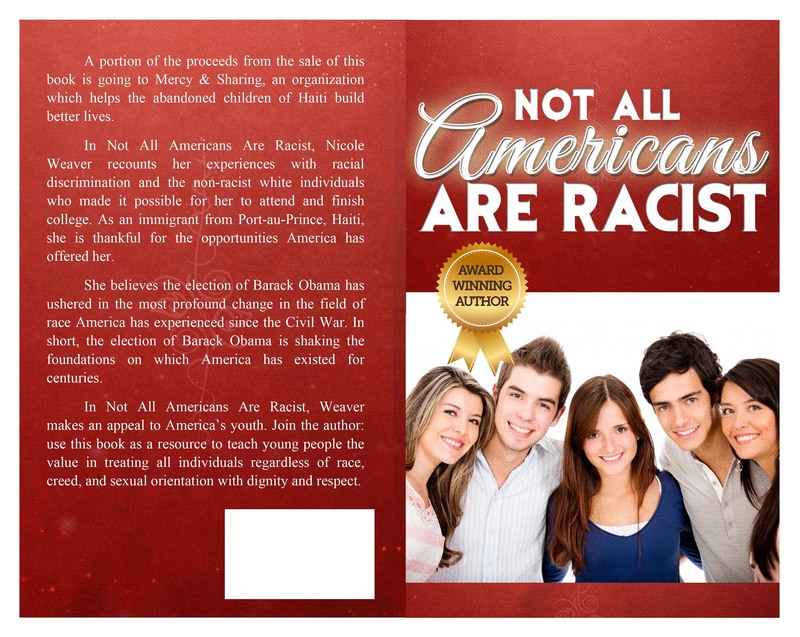 “Not All Americans Are Racist” is an honest, thought-provoking account of one black woman’s experience with racism after she came from Haiti at a young age and later on as she rose through college to get an education. Weaver is objective, not only pointing out the prejudice she experienced, but also the help and support she received from non-racist white individuals. Her decision to look back and write this 46-page essay was sparked by recent events, such as the latest cases in the news with Darren Wilson, Trayvon Martin, and Eric Garner. As a human being, I found Weaver’s account both compelling and eye-opening. I hate injustices of all kinds and some of her experiences were painful to read. It’s hard to come to terms with the fact that, still in this era, some people hate others or are prejudiced just because of the color of the other person’s skin. Weaver touches on various subjects, such as Jim Crow and the Civil Rights movement, President Obama, social issues, among others. 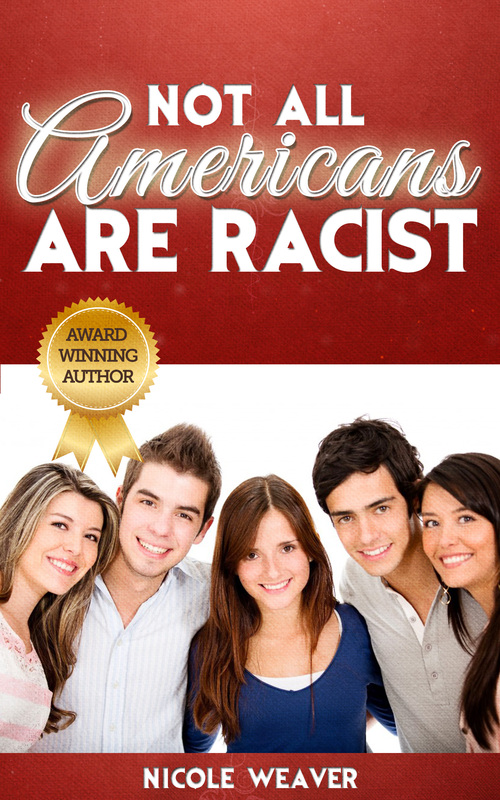 “Not All Americans Are Racist” would be worthy of high-school class discussions, and Weaver includes discussion questions for students at the end of the book. What I liked about this book is that it is ultimately positive and offers hope for the future. Above all, the author’s love for this country sparkles through. Most appropriately, Weaver ends the book with an open appeal to the young people of America. Even Hollywood is changing for the better by making for more shows with African Americans. There is hope around the corner. After the the killings of young unarmed black men, I was inspired to write about my own personal bouts with racism in America. See the description below of my newly published book! In Not All Americans Are Racist, Nicole Weaver recounts her experiences with racial discrimination and the non-racist white individuals who made it possible for her to attend and finish college. As an immigrant from Port-au-Prince, Haiti, she is thankful for the opportunities America has offered her. She believes the election of Barack Obama has ushered in the most profound change in the field of race America has experienced since the Civil War. In short, the election of Barack Obama is shaking the foundations on which America has existed for centuries. In Not All Americans Are Racist, Weaver makes an appeal to America’s youth. Join the author: use this book as a resource to teach young people the value in treating all individuals regardless of race, creed, and sexual orientation with dignity and respect.